Having a website online that can’t be found is equivalent to setting up a surf store in the desert. Pointless. Here’s a better idea: taking advantage of some of the awesome and readily available tools to get your online business in front of the right people. For users of WordPress, I have compiled a list of tried and tested plugins that not only benefit your search engine optimisation, but take the hassle out of web content management. This helps you concentrate on more important things – like running your business! Description: Unfortunately, opening your site for public comments also runs the high risk of opening your site to automated spam messages. 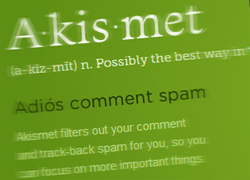 SEO Benefits: Spammers are usually sending links disguised in poor quality comments. This can devalue your site’s SEO authority if the majority of outbound links point to content that is not relevant to your page content. Benefits to You: Why waste time deleting hundreds of spam comments when you could spend the time creating conversations on your site with real people? Description: Share your content across the web on all the major social networking sites, as well as lesser known bookmarking sites that may be relevant to your site. SEO Benefits: With the recent changes to Google’s search results (Search, Plus Your World), it’s more than imperative to have social networking buttons on your site if you want to increase your search visibility. 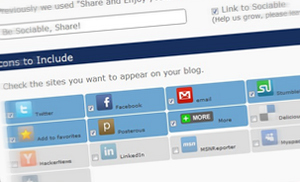 Benefits to You: Share your content without even leaving your site! Description: This plugin will compress image files, strip file information and remove any unused colours from your images. SEO Benefits: With page speed being a factor of on-page SEO, WP Smush.it allows your content to load faster while still retaining visual appeal. Benefits to You: This plugin does all the work as soon as an image is uploaded. You don’t need to lift a finger! Description: Many automated features including optimised titles and meta tags for blog posts. SEO Benefits: All blog posts are automatically optimised when published – with override and advanced options for the more SEO savvy users. Also has Google Analytics support. Benefits to You: Saves time, easy to use for beginners to advanced. Related recommended plugins: WordPress SEO (http://yoast.com/wordpress/seo/). Features include as above plus canonical URLs, RSS enhancements and XML Sitemap generation. Description: This plugin works to link keywords in your blog posts and comments to related blog posts, pages, categories and tags. SEO Benefits: Automatically optimises the internal linking of your content. Benefits to You: Saves time manually creating internal links; increased time on site by providing users with related content. Related recommended plugins: Yet Another Related Posts Plugin (http://www.yarpp.org/). Lists related/recommended posts under your content to encourages users to continue reading your sites content. There are hundreds, if not thousands more plugins not listed here created to make your website more visible, social and authoritative. Feel free to share some of your favourites with us! 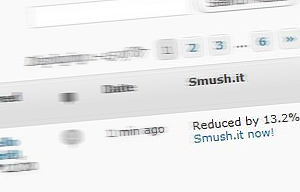 Geez, I’ve been manually uploading images to SmushIt, didn’t know there was a plugin for that LOL! Thanks for the tip! Have you looked at Easy WP SEO? It rocks for on-page optimization. I’ve had a look at Easy WP SEO, but the mentioned plugins do the same, if not more for free or a fraction of the price. There are also Mozilla/Firefox plugins if you need to check your Keyword Density, and probably the same for Google Chrome. Thanks for sharing your tips! Don’t think it’s necessarily a “must-have”, but for those needing it “PHP Code Widgets” is a fantastic plugin that allows you to use PHP in your widgets! Very useful! Another one is “Broken Link Checker”. Crawls your site and reports on any broken outbound links which you can quite easily remove, or edit so they no longer 404. Good stuff!